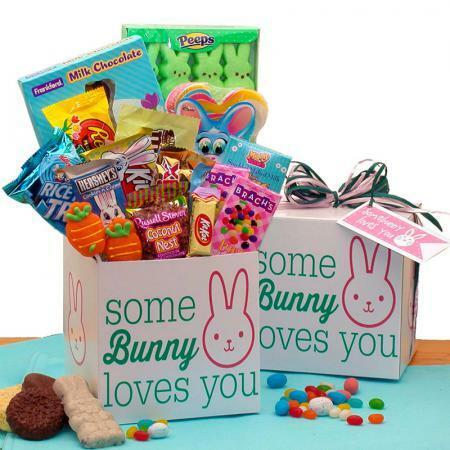 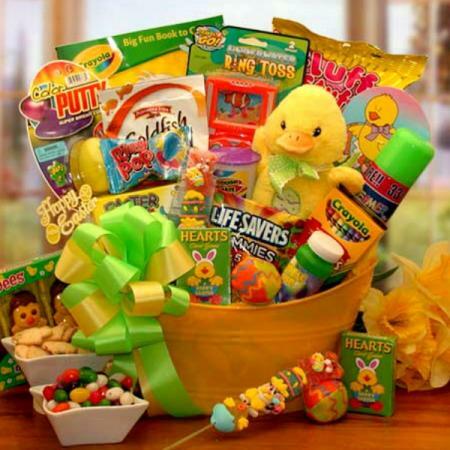 Send the Bunny Express and Easter will arrive in style this year. 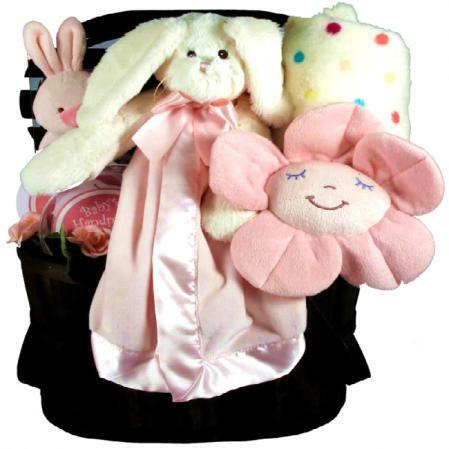 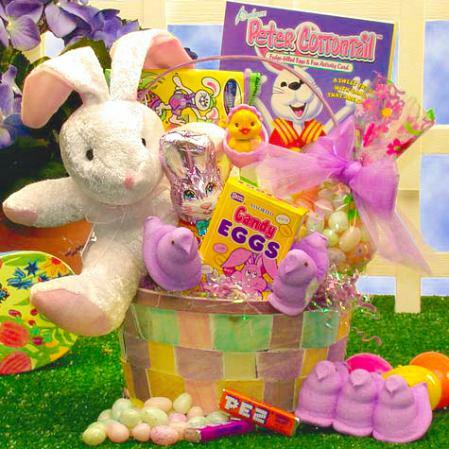 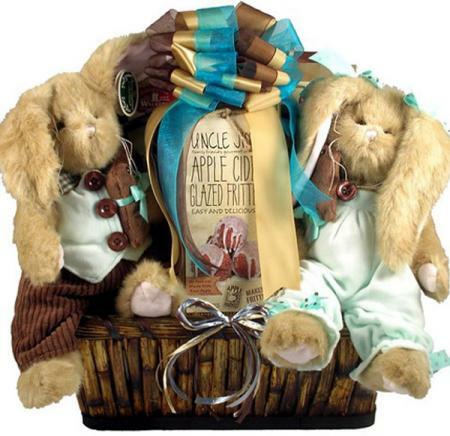 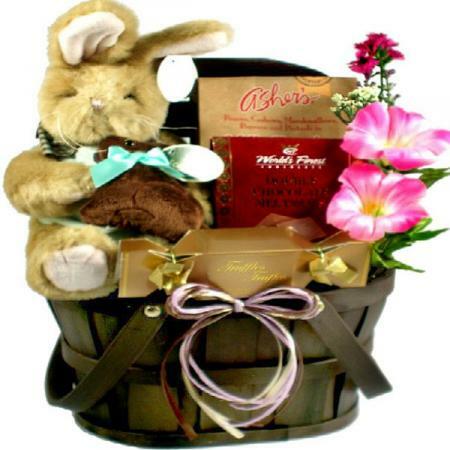 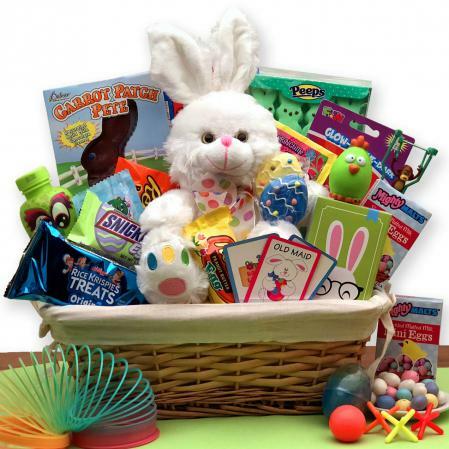 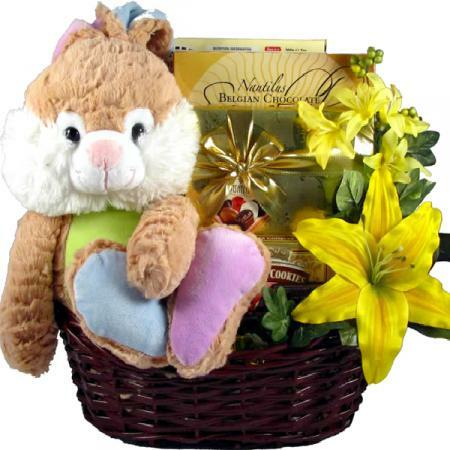 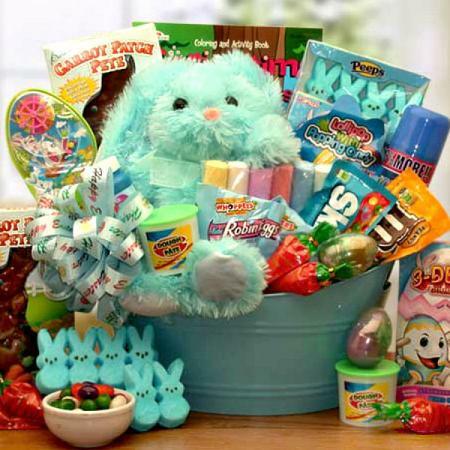 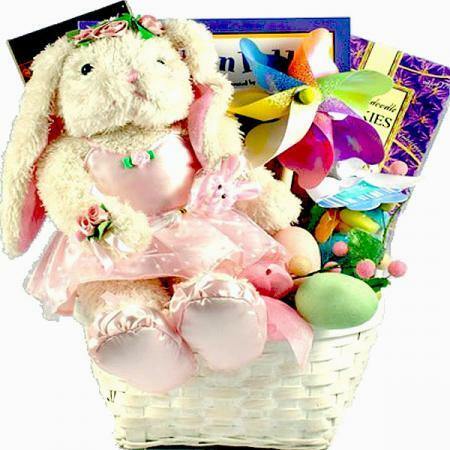 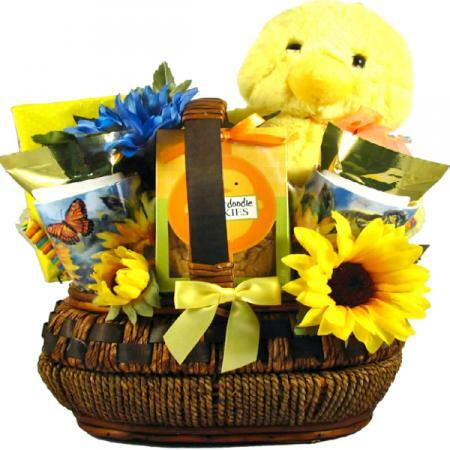 This adorable plush bunny has hand stitched eggs on his feet and delivers an array of delicious traditional Easter treats and toys for that little loved bunny in your life. 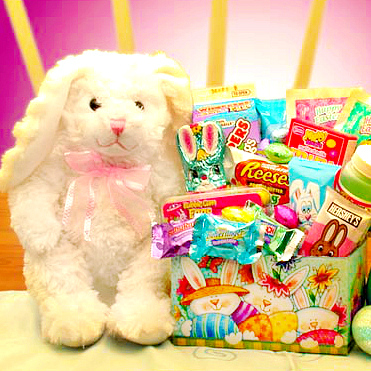 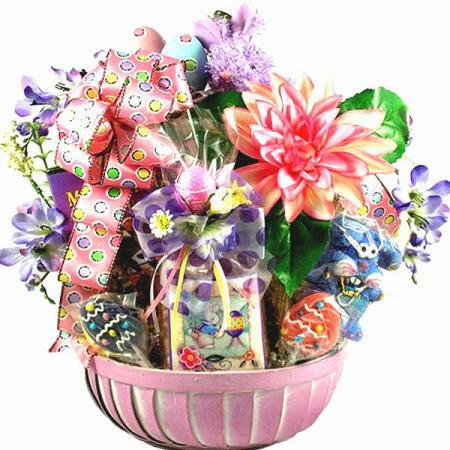 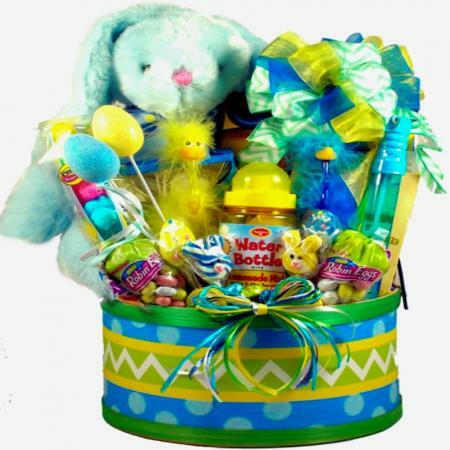 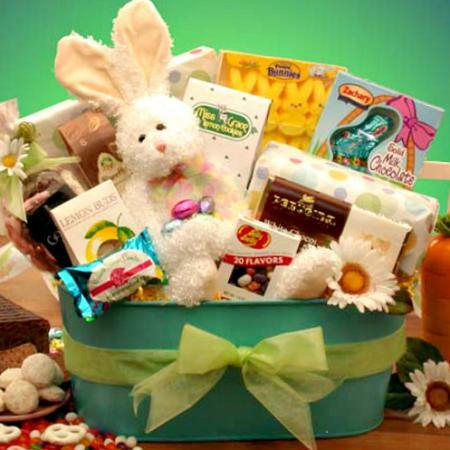 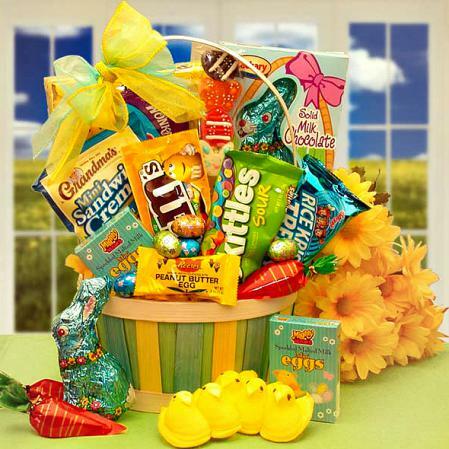 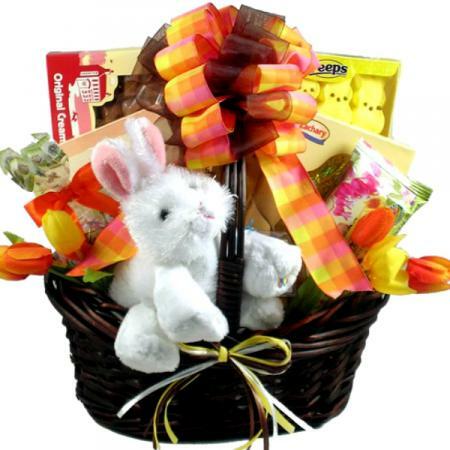 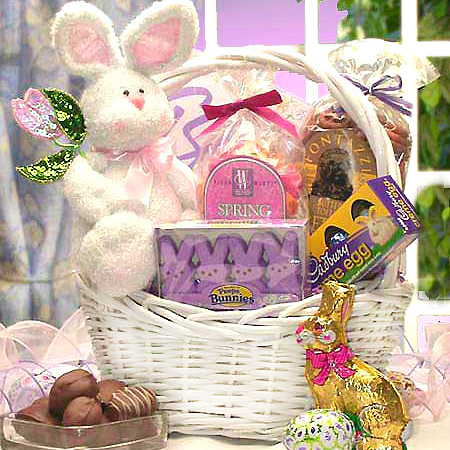 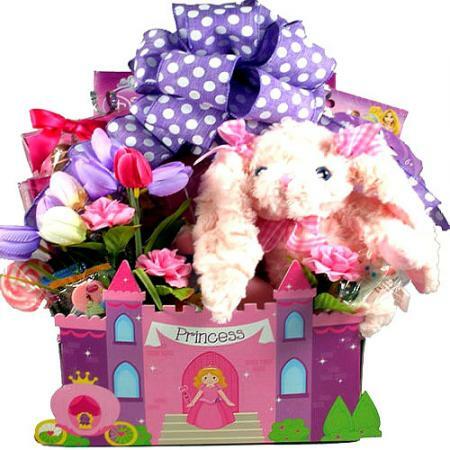 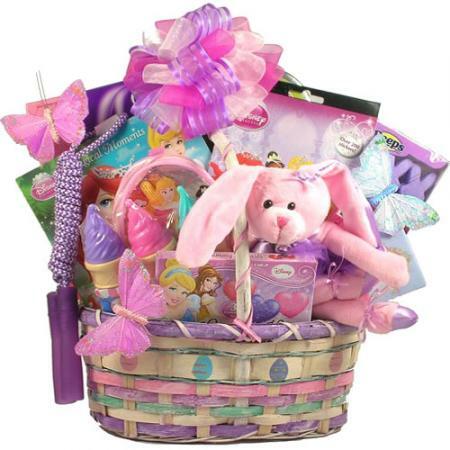 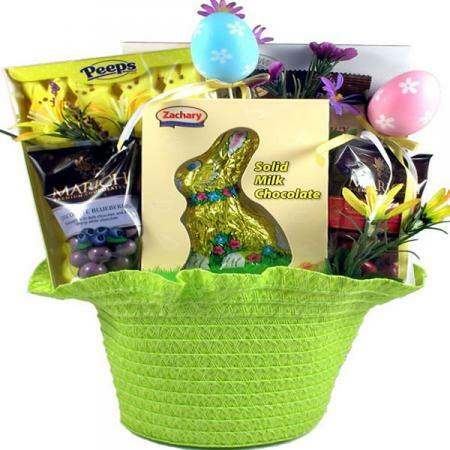 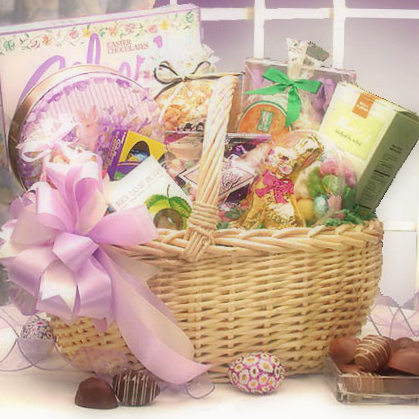 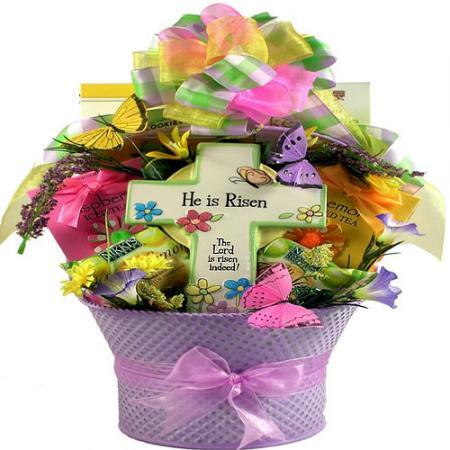 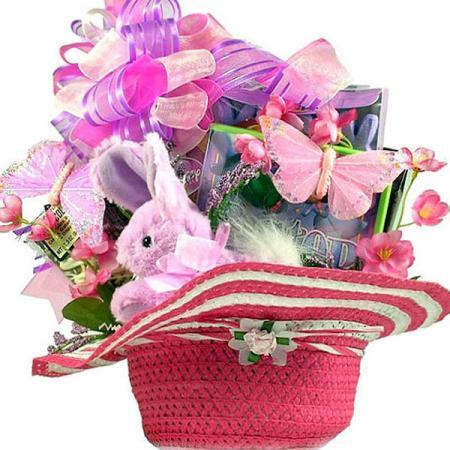 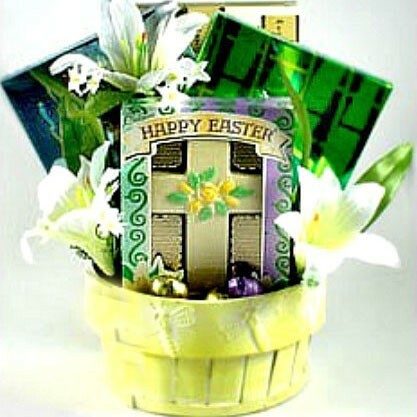 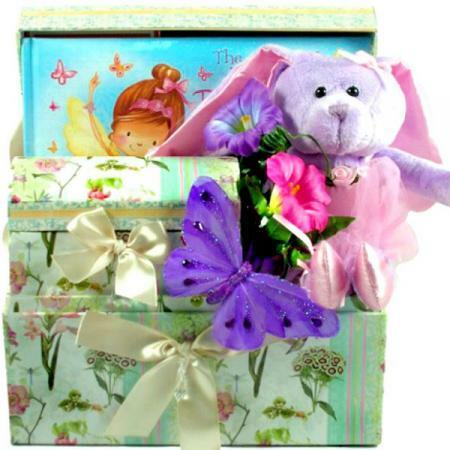 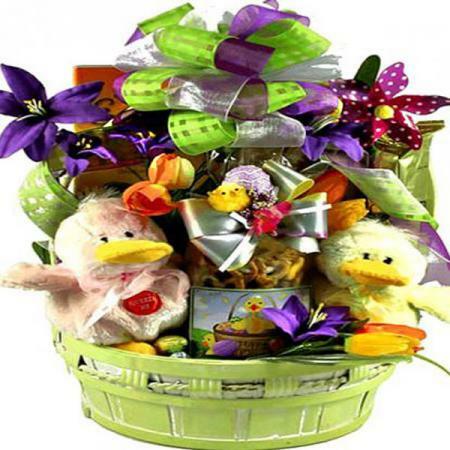 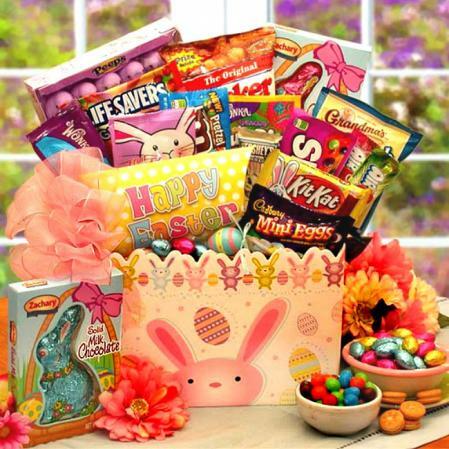 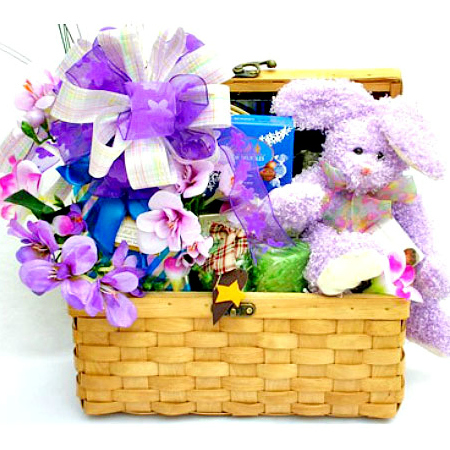 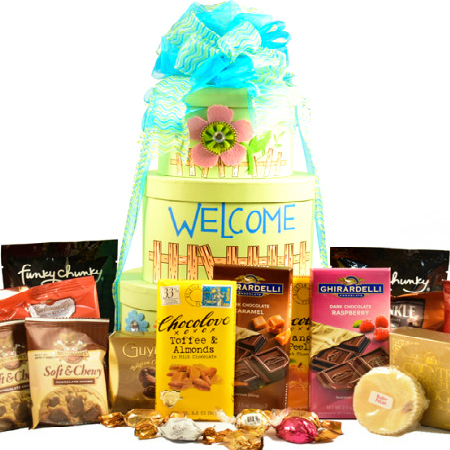 This gift measures 13x10x13 and weighs 4 pounds, it comes wrapped in cellophane and topped with a hand made Easter Bow.